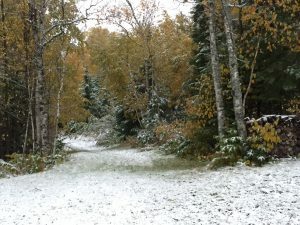 Here it is, October 5th 2018 and there is a dash of snow on the ground. Not enough to ski on but it may help the grass skiing when gliding! Even though an inch of snow fell, so did a bunch of rain so that makes it quite wet out. Also, a big wind storm came through Wednesday night, and that knocked down at least a hundred or so big aspen and balsam fir trees on the Pincushion trails. 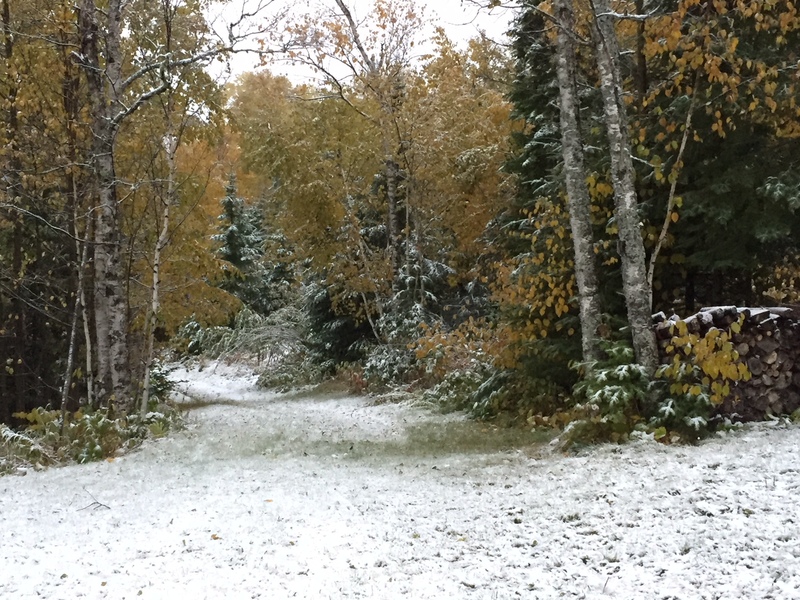 Lots of work to do to get our trails ready for the ski season now.